Technically undemanding and physically somewhat demaning walk with a wonderful view of lake Blidinjsko and Mt Čvrsnica. 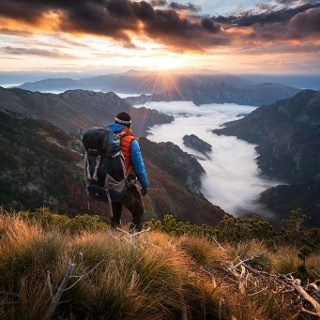 From the nature park "Blidinje" you can set out towards the highest peak of Mt Vran -- Veliki Vran (2072 MASL). 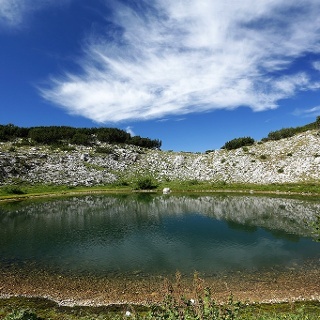 Take the road to the seaside, in Jablanica take the local road towards Blidinje, and after a few kilometres of not so bad macadam you'll reach a wonderful plateau and Lake Blidinjsko. On your left is Mt Čvrsnica, on your right Mt Vran. The car park is in front of the "Hajdučke vrleti" motel. The road leads through a dense coniferous forest, but you if you like you can go to the right, around the forest, though the path is longer. The incline is constant all the way. 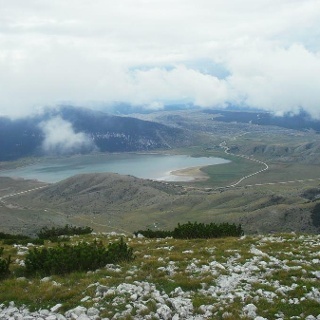 The spot offers a wonderful view of lake Blidinjsko and Mt Čvrsnica. Towards the peak, areas of shrub and leftovers of deep snow take turns (except in summer). If there is snow, it's best to avoid the shrubland and go over the snow-covered areas. Just before the summit there is a small flat area and around 10 minutes of easy ascent. 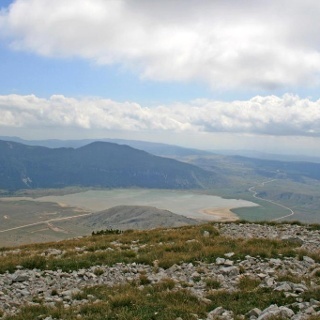 From the summit you can see lake Blidinjsko and Mt Čvrsnica to the south, lake Ramsko and the mountains of central Bosnia to the north, and lake Buško far to the west. The trail is not marked, but there are waymarks to the east of the summit. If you take that road, the waymarks will take you to the shrub and snow, and it also doesn't show the "Hajdučke vrleti" motel where you can leave your car. The other way you can take is to the south, towards the lake, and it goes through a dense deciduous forest, and after three quarters of an hour you come out to a clearing where you can easily orientate as the motel is visible in the distance. 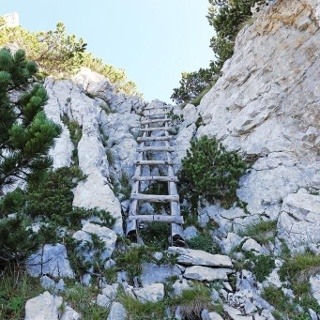 You will reach it after 11 kilometres. 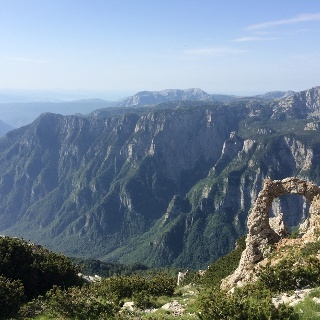 If you're looking for a mountain track with a spectacular view all the way, then Veliki Vran is the right place for you. Make sure to visit lake Blidinjsko, only 6km from the motel. 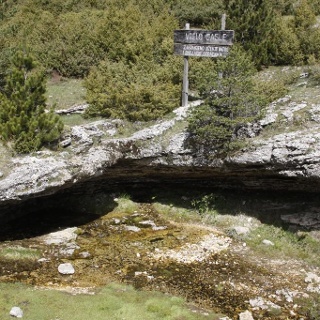 The Hajdučke vrleti motel is also worth visiting as the staff are exceptionally nice to fell-walkers. The trail begins behind the stables by the motel Hajdučke vrleti and leads uphill through the pine forest. As there was still some snow left in the forest, we skirted it from the north (right hand side) and headed straight for the summit. The road to the summit is rather clean and it's easy to find your way. On our way back we took the marked trail leading to the stećak necropolis 2-3km north of the Hajdučke vrleti motel, then we descended through the beech forest to the motel. You can reach Jablanica by bus or by train. After that you have to find transport to lake Blidinjskog. Na žalost ova staza nije markirana u potpunosti,bilo bi bolje koristiti drugu alternativu.